Social media phenomenon and television actor with a recurring role as Nico in the Disney Channel Latin America telenovela Soy Luna. He has more than 750,000 Twitter followers and over 5 million followers on Instagram. He was establishing himself on social media for years before appearing on Soy Luna in 2016. On YouTube, he started off his channel with a number of Twilight parody videos. He has more than 2.8 million subscribers. He is from Buenos Aires, Argentina and has a younger brother. In February 2019, he announced he was expecting a baby with his fiancee Amira Chediak. 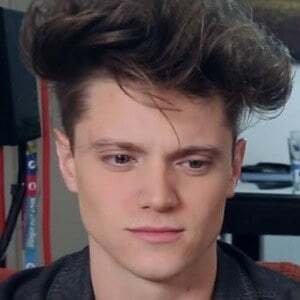 He and Agus Bernasconi both joined Soy Luna in recurring roles.